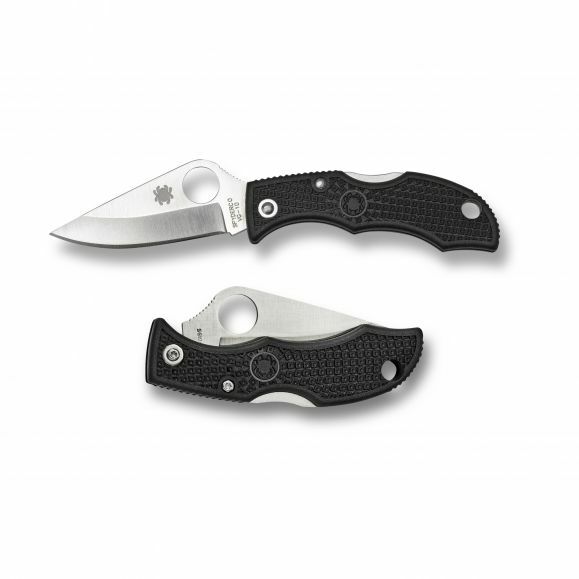 This Ladybug knife has a hollow ground VG-10 stainless steel blade with a plain edge and a satin finish. The handle is black FRN. 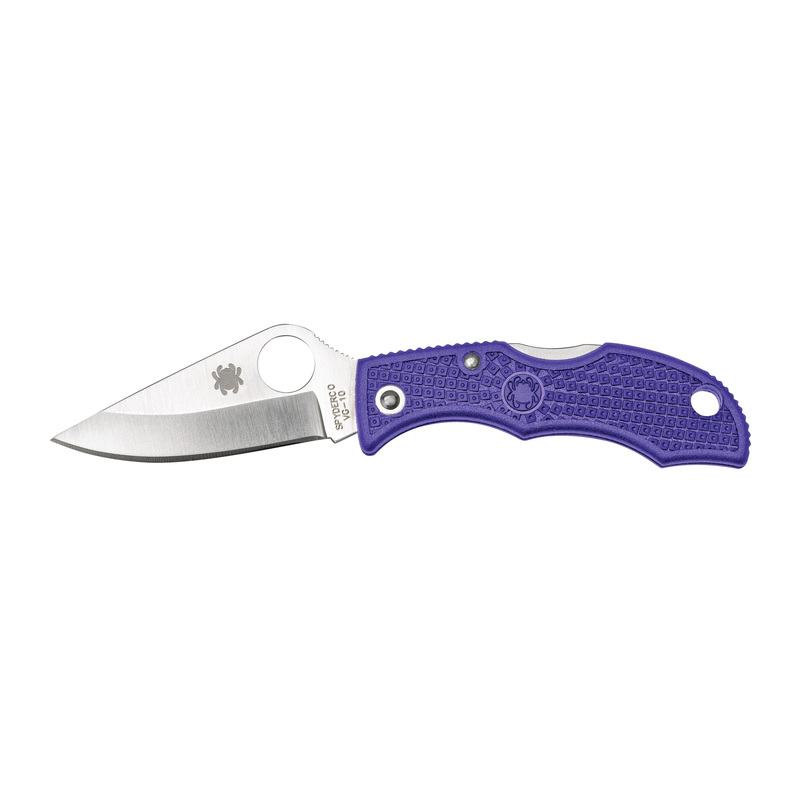 The Ladybug is one of Spyderco's smallest lightweight knives. 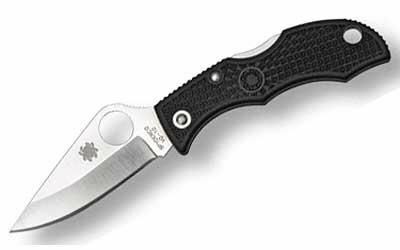 It has an uncanny amount of usable cutting power and utility for a knife of its size and it's a blast to use. The fiberglass reinforced nylon (FRN) handle is optimally textured and outfitted with the back lock mechanism for confidence inspiring lockup. The handle has a hole for a key ring or lanyard. 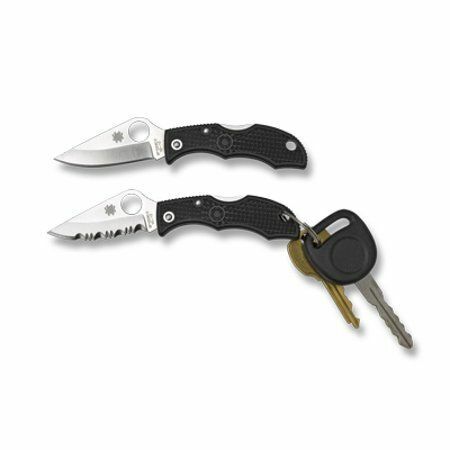 When closed the Ladybug is about the same size as your car keys, which makes it an ideal key-chain carry knife that won't weigh you down.